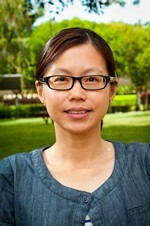 Lau, S.W., Sen, T.K., Chua, H.B. and Ang, H.M., Conditioning Aids and Their Applications for Sludge Dewatering, in Physical Chemical and Biological Treatment Processes for Water and Wastewater, T.K. Sen, Ed. 2015, Nova Publisher: USA. Lau, S.W., Chong, S.H., Ang, H.M., Sen, T.K. and Chua, H.B., Dewaterability of anaerobic digested sludge with cations and chitosan as dual-conditioners, in Developments in Sustainable Chemical and Bioprocess Technology, R. Pogaku, A. Bono, and C. Chu, Eds. 2013, Springer: US. p. 11-17. Mohd. Setapar, S.H., Lau, S.W., Chen, Y., Cen, P.L., Yao, S.J. and Mat, H.B., Partitioning Behaviour of Selected Antibiotics in Organic Solvents. Journal of Chemical and Natural Resources Engineering – Sustainable Process for Natural Resources Special Edition, 2008. p. 100-112. Phang, K.Y., and Lau, S.W. A Survey on the Usage of Biomass Wastes from Palm Oil Mills on Sustainable Development of Oil Palm Plantations in Sarawak. in 29th Symposium of Malaysian Chemical Engineers. 2016. Miri, Sarawak, Malaysia. (Also published in IOP Conference Series: Materials Science and Engineering, 2017. 206: 012073) (ISI Thomson Reuters indexed and SCOPUS indexed Conference Proceedings). Lau, S.W., Ang, H.M., Sen, T.K. and Chua, H.B. Assessment of Chitosan Conditioning in a Synthetic Anaerobic Digested Sludge System. in Chemeca 2014. 2014. Perth, Australia. Lau, S.W., Tang, S.D., Ang, H.M., Sen, T.K. and Chua, H.B. Dual-Conditioning of Sludge using Chitosan and Metal Cations. in Water Convention 2014. 2014. Singapore. Lau, S.W., Chong, S.H., Ang, H.M., Sen, T.K. and Chua, H.B. Dewaterability of anaerobic digested sludge with cations and chitosan as dual-conditioners. in 26th Symposium of Malaysian Chemical Engineers in conjunction with the 4th International Conference on Chemical and Bioprocess Engineering. 2012. Kota Kinabalu, Malaysia. Chan, Z.Y., Lau, S.W. and Chua, H.B. Dewatering of anaerobic digested sludge with oil palm biomass as novel physical conditioner. in 26th Symposium of Malaysian Chemical Engineers in conjunction with the 4th International Conference on Chemical and Bioprocess Engineering. 2012. Kota Kinabalu, Malaysia. Lau, S.W., Mat, H.B., Chen, Y., Cen, P.L. and Yao, S.J. Reactive Extraction of Antibiotics with TOMAC/Kerosene System: I. Equilibrium. in Chemeca 2008. 2008. Newcastle, Australia. Lau, S.W., Mat, H.B., Chen, Y., Cen, P.L. and Yao, S.J. Reactive Extraction of Antibiotics with TOMAC/Kerosene System: II. Kinetics. in Chemeca 2008. 2008. Newcastle, Australia. Lau, S.W., Chen, Y., Cen, P.L., Yao, S.J. and Mat, H.B. Reactive Extraction of Antibiotics in Trioctylmethyl Ammonium Chloride (TOMAC)/Kerosene System. in 20th Symposium of Malaysian Chemical Engineers. 2006. Shah Alam, Malaysia. Lau, S.W., Mohd. Setapar, S.H., Chen, Y., Cen, P.L., Yao, S.J. and Mat, H.B. Solubility Behaviour of Selected Antibiotics in Organic Solvents. in 10th Asia Pacific Confederation of Chemical Engineering Conference. 2004. Kitakyushu, Japan. Mohd. Setapar, S.H., Lau, S.W., Toorisaka, E., Goto, M., Furusaki, S. and Mat, H.B. Reverse Micelle Liquid-Liquid Extraction of Antibiotics. in 10th Asia Pacific Confederation of Chemical Engineering Conference. 2004. Kitakyushu, Japan.